What is your favorite kid's drink? Do you love soft drinks like Coca-Cola or Mountain Dew? Maybe your favorite drinks include juices like apple juice and orange juice. Chocolate milk is also popular, especially at school with lunch. Do you know what drinks are the healthiest for you? Many popular kid's drinks are loaded with sugar, which is not healthy for your body or your teeth. I am going to tell you how much sugar is in the most common kids drinks. If you know that a drink has too much sugar, then maybe you will choose another drink that will be good for your body and won't cause cavities. Most kids will admit that they love the jolt of energy that sugary drinks give them. Maybe that is why Coca-cola is high on the list of the most sugary soft drinks that kids adore. 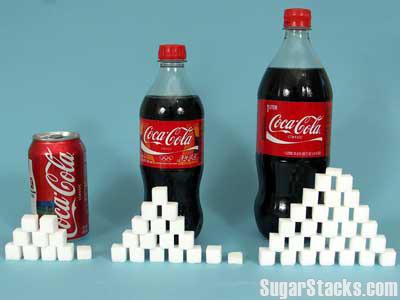 Did you know that a 12-ounce can of Coke has almost 10 teaspoons of sugar? Many parents will give their kids the 20-ounce size due to the replaceable cap. That size has almost 20 teaspoons of sugar! Now, many kids aren't allowed to drink the "Big Gulp" size that stores like 7-Eleven sell. So, if you're a kid and you're reading this, and you see your parents drink the "Big Gulp" size, you can tell them that is has a whopping 32 teaspoons of sugar! Another favorite drink among children are the flavored teas. Some brands you may have had are Sobe, Arizona, or Snapple. These may be delicious, but your teeth won't be smiling at how much sugar is in them. These teas tend to have between six and eight teaspoons of sugar in them. Although that is a little less than a can of soda, that is still a lot of sugar. Plus, some teas also have caffeine, and children should not have much of that either. Let's move on to juices. Kids of all ages love juice. Many popular juices include apple juice, orange juice, and even lemonade is considered a juice. Parents and children are led to believe that juice is better for you since it comes straight from fruit. This is where reading the label comes in handy. You have to look for the percentage of actual fruit juice that is in your drink. Several types of so-called fruit juices only have a small percentage of juice in them. That's why they are loaded with sugar. Some of the most popular ones like Minute Maid have between 13 and 15 teaspoons of sugar. Imagine taking a spoon and shoveling that much sugar into a drink. That's a lot! Capri Suns are a refreshing and easy drink that parents like to buy their children. Kids will drink these all day long, as they are convenient and make very little mess. However, did you know that these little 6.75-ounce drinks have almost five teaspoons of sugar? Another interesting fact about Capri Suns is that they have 70 total calories and all of those calories come from sugar. So, you may think the Capri Suns are a better choice than soda, but it is about the same amount of sugar as Coke. Last, let's talk about chocolate milk. Most kids love chocolate. Schools everywhere serve chocolate milk with their school lunches. An eight-ounce serving of chocolate milk has almost eight teaspoons of sugar. That is like having one teaspoon of sugar per ounce of drink. Chocolate milk is not healthier just because it contains milk. It is actually similar to the sugar content in the other drinks. Was your favorite drink mentioned in this article? If so, I hope that you will choose a drink next time that has less sugar. The best way to find out how much sugar a drink has is to read the label. When in doubt, water is always a good choice and it is something your body needs to stay hydrated. Sugar in any form will stick to your teeth and may cause cavities. 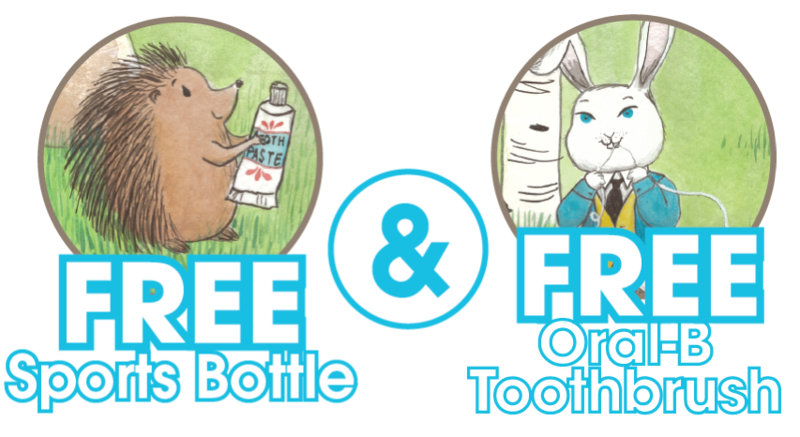 Cavities will eat away your teeth. This causes many other problems. So, limit your sugar. Knowledge is power!